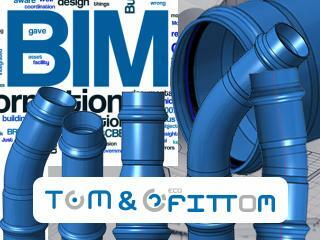 Molecor makes avaiable to the market the update of the BIM objects (Building Information Modeling) of the TOM® pipes and ecoFITTOM® fittings, as well as the necessary technical documentation for their application in the development of hydraulic network projects. BIM objects are specially designed to facilitate the work of the professionals of the sector. A practical and indispensable tool of great added value for technical prescribers, which allows knowing all the products and services that Molecor offers. This tool includes technical sheets and descriptions of adapted products to facilitate the development of projects. BIM objects can be used throughout the entire process of design, documentation, and construction, offering an accurate, accessible and practical vision of all the parts that make up the life cycle of the project. Next → Next post: mfh systems: Innovativ panel heating is electric. Intelligent. Ultra-thin Digital.